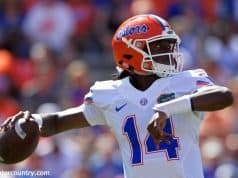 The Florida Gators hosted several out of state prospects on campus on Saturday for the Orange and Blue game to conclude the spring for the coaching staff. Linebacker Romello Height (6-5, 210, Dublin, GA. High) was on campus and liked the play of the defense on Saturday. 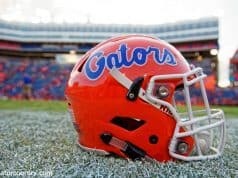 Height also got the chance to talk several coaches while on campus on Saturday visiting Florida. Defensive coordinator Todd Grantham spent the most time with Height on Saturday and had a message for him about wanting him in Gainesville. Height knew he wanted to visit Florida so he could watch the Gators defense go through the spring game. The linebacker didn’t get to do a whole lot on Saturday but he plans to return to campus again to see everything Gainesville has to offer. 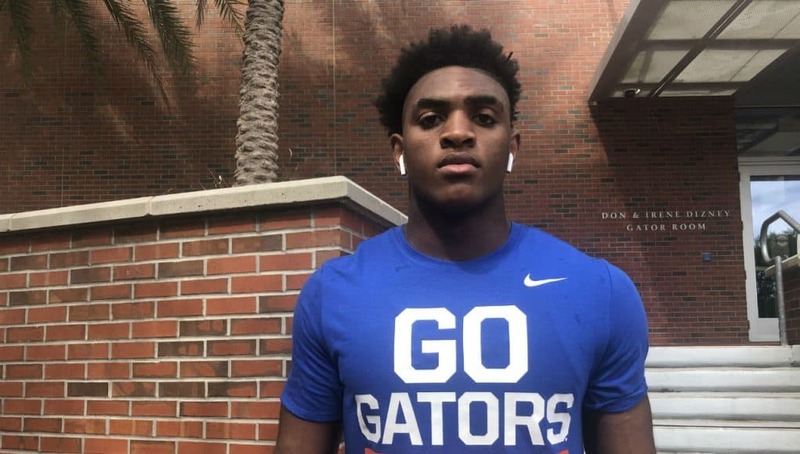 Despite putting the Gators in his top 8, Height says that three schools are recruiting him the hardest including a leader from one of his home state schools. 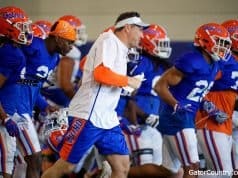 The Gators however are still in play with Height as the linebacker says several family members like Florida.